Daniel was a student of Miguel del Aguila during the summers of 1997-1999. He is on the brink of a brilliant career. He is fluent in Russian and, in addition to beginning a doctorate program at Northwestern University this year, he has been invited to participate in the Antonio Pedrotti conducting competition in Trento, Italy. 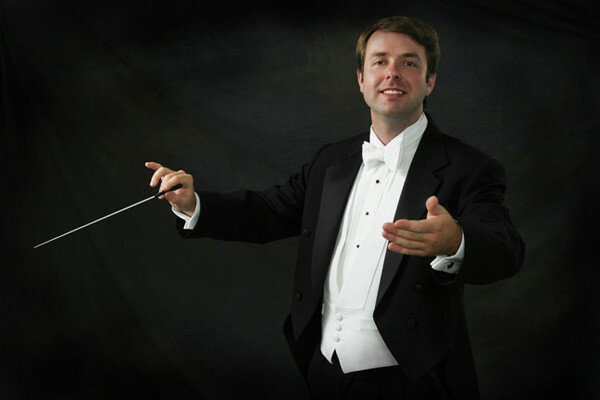 The image appears to be the artist conducting when in fact the only music playing was in the mind of Daniel Black.